6 fl. oz. 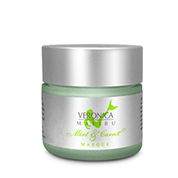 (240mL) – The VeronicaMalibu PH Cucumber Toner soothes and moisturizes normal to dry and sensitive skin. This non-drying, alcohol-free toner restores the skin's natural pH and oil balance. 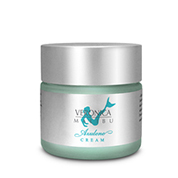 Minimizes the appearance of fine lines, reduces pore size and helps tone the complexion. 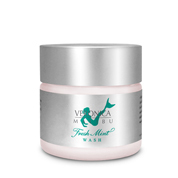 Reduces inflamed skin and adds needed hydration. A favorite of top dermatologists for it's soothing properties, before and after procedures. Aloe Vera Gel, Cucumber Juice, Witch Hazel Horse Chestnut Extract, Glycerin, Glucose, Fructose, Urea, Dextrin, Alanine, Glutamic Acid, Biotine, Fragrant Oil, Chlorophyll, d-Panthenol, Ginseng Extract, Allantoin, Carotene, Potassium Sorbate, Sodium Benzoate. After cleaning face apply a moderate amount of toner to a 100% cotton pad and gently apply in upward motions all over the face. Allow to dry and follow with a moisturizer.